I am the mother of my brain injured son, Dylan Lamoreaux. 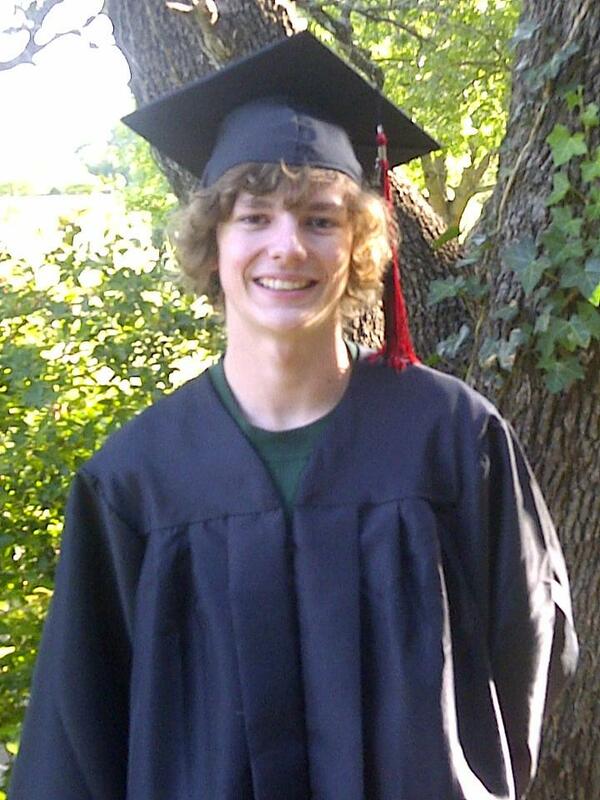 Dylan is a bright young man who had a wonderful life until one Saturday night. Dylan is a very determined, strong, willful soul who has a heart of gold. He has many friends, including his best friend, his sister Audrey. Dylan graduated from Cross Timers Academy with honors from the National Honor Society in 2011. He was always working at a job and sometimes two jobs since his graduation. In September 2014, he began working for the Ben E. Keith Company and had his own route in our home town and surrounding towns, stocking and servicing numerous stores with Ben E. Keith beverages. He was very proud of his new job and was looking to make a career with the company. On January 31, 2015, Dylan and a friend were traveling home from a casino and they encountered torrential rain. They were traveling on a back highway, and Dylan was driving. His friend remembers Dylan saying that he was having trouble seeing the road because of the rain and that was the last memory available. Dylan was in the wrong lane approaching a hill and hit another car head on. By the grace of God, everyone in both cars survived the crash, but there were multiple injuries and unfortunately, Dylan was critically injured. He had a compound fracture to his left femur, cracked ribs, torn spleen, broken jaw in two places, crushed cheekbone and eye socket, trauma to his carotid artery, many staples and stitches, and worst of all, a broken neck and a severe traumatic brain injury. He spent 3 weeks in ICU and then 3 months recovering at John Peter Smith Hospital in Fort Worth, Texas. When he was discharged from the hospital, he was regaining small movement in his left arm. 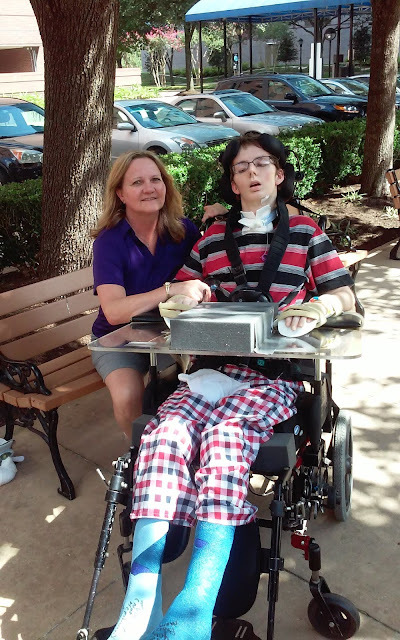 Dylan was then transferred to a local nursing home to wait the mandated 60 days, according to his Medicaid, before he could begin rehabilitation at a hospital in Houston, Texas for evaluation into the program for the minimally conscious. He spent two weeks in the nursing facility until one Sunday morning; he aspirated, stopped breathing, and went into cardiac arrest. The paramedics performed CPR for 25 minutes and were able to get a pulse back and then they transported him to Weatherford Regional where his heart stopped two more times before they were able to get him stabilized. Dylan was then transported by helicopter to a cardiac hospital in Fort Worth, Texas. He again spent 10 days in ICU, fighting for his life, and an additional 3 weeks in this hospital. He received additional brain damage due to the lack of oxygen from his cardiac arrest. He now has two different types of brain damage and is in a minimally conscious state. Our family’s life has changed dramatically in the last two years and we have seen the power of God first hand. We have received an outpouring of love, support, and guidance in this new journey we are on. Our family is forever changed and we realize the magnitude of the miracles we have witnessed. 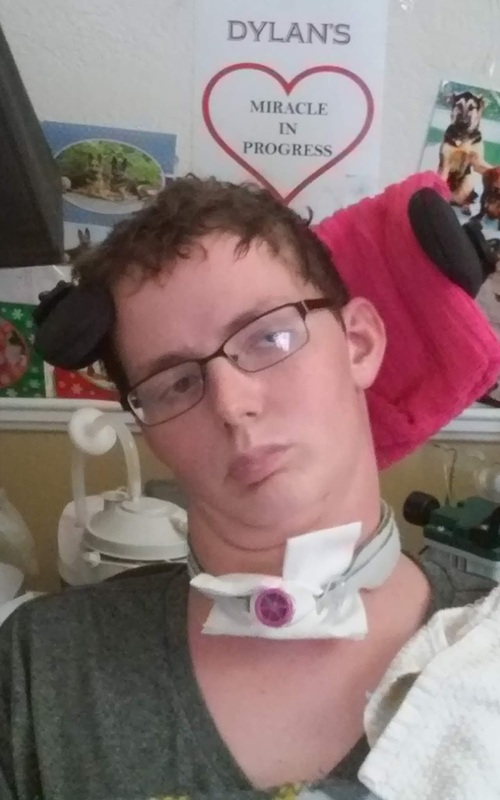 Dylan has shown us all his strong will to live and his fight to survive. My son has persevered and fought for his life for 3 years now. So many terrible things have tried to take him down and he has conquered them all. Although he's minimally conscious right now he is so aware of everything. He is a fighter and my hero. I am the mother of a miracle, and I am blessed! More than 50% of the proceeds from all Fight the Fight purchases made during the month of June 2018 will be donated to Dylan to help cover the costs of large, medical-related expenses. Will there be a restock of the xl and xxl shirts anytime? I like a ton of those shirts but almost none of them are in my size. Would really like an xl of the tank. Im good friends with Audrey and id love to help. Ill buy a different shirt for now just to donate but if anyone can get me an XL Tank ill buy that too! Dylan was in the same grade as my younger brother and we where all on the golf team in high school, he was a great golfer and a good person to be around, best of luck to future endeavors dylan!